DAVIS, Calif. -- California IVF: Davis Fertility Center, Inc. proudly announces a new contract with NorthBay Healthcare, a plan administrator for Western Health Advantage insurance. This contract expands infertility treatment options for NorthBay Healthcare members as well as members of other Western Health Advantage medical groups. DAVIS, Calif. -- California IVF: Davis Fertility Center, Inc., working in conjunction with Gene Security Network leads the field in bringing a new test to patients that combines the detection of single-gene genetic disorders with a 24 chromosome screening. ATLANTA, Ga. -- ContinuLink, a leader in Web-based home care software understands the needs of their users. Within four days of a new CMS Regulation regarding PECOS, ContinuLink users were automatically having their physicians PECOS eligibility checked though our system. ContinuLink believes they were the first system in the country to have integrated real-time PECOS support. SAN MARINO, Calif. -- Epeius Biotechnologies Corporation, an emerging leader in the field of targeted genetic medicine, received a notice of allowance from the USPTO for another crucial patent covering its leading tumor-targeted gene delivery platform. The issuance of this high-value patent protection for targeting metastatic disease follows on the heels of two major patent issuances. MINNEAPOLIS, Minn. -- Minnesota Medical Development, Inc. (MMDI) today announced that it has been named as one of the 'Top 50 Companies to Watch' in the medical device industry by Medical Device and Diagnostic Industry (MD+DI) magazine. MMDI was chosen because of its ability to achieve success and also for its ability to manufacture products that have the potential to revolutionize care practices. BUFFALO GROVE, Ill. -- Affinity Healthcare LLC, a multi-specialty medical group practice with northwest Chicago suburban offices located in Arlington Heights and Buffalo Grove announces the addition of a Neurology specialist to its cadre of 34 physicians. Dr. Daniel B. Cacioppo, MD will treat patients by appointment at the Affinity Healthcare LLC office located at 1450 Busch Parkway, Buffalo Grove, IL 60089. SAN MARINO, Calif. -- Epeius Biotechnologies Corporation today announces the results of the clinical trial entitled 'Advanced Phase I/II Evaluation of Tumor-Targeted Gene Delivery: Intravenous Rexin-G as Stand Alone Therapy for Chemotherapy-resistant Bone and Soft Tissue Sarcoma' at the ASCO Annual Meeting on June 8, 2010. The presentation will be discussed by Dr. Kristen N. Ganjoo, Stanford University Medical Center, Palo Alto CA. SAN MARINO, Calif. -- Epeius Biotechnologies Corporation today announces the results of the clinical study entitled 'Phase I and II Studies of Intravenous Rexin-G as Monotherapy for Gemcitabine-resistant Metastatic Pancreas Cancer' at the ASCO Annual Meeting on June 6, 2010. The presentation will be discussed by Dr. Howard W. Bruckner, Bruckner Oncology, New York, NY. ATLANTA, Ga. -- ContinuLink, a leader in Web-based home care software has announced that it has entered into a business development relationship with Cardiocom to provide a two way interface between Cardiocom's Omnivisor Pro software application and the Web-based ContinuLink application. Cardiocom is a developer, manufacturer and clinical service provider of award-winning telehealth solutions. SAN MARINO, Calif. -- Epeius Biotechnologies Corporation, a leader in the field of targeted genetic medicine, reports the publication of three major publications in the field. The first article entitled 'Rexin-G, A Targeted Genetic Medicine for Metastatic Cancer' (Expert Opinion on Biological Therapy, May, 2010) documents the development of Rexin-G: a tumor-targeted retrovector bearing a cytocidal cyclin G1 construct; the first targeted gene therapy vector to gain FDA Fast Track designation and Orphan Drug priorities for multiple cancer indications in the USA. LAS VEGAS, Nev. -- Sher Institute for Reproductive Medicine (SIRM) is donating free In-Vitro Fertilization (IVF) treatments at upcoming fertility education seminars on May 11 and 12, in celebration of Mother's Day on May 9, 2010. The donated treatment cycles are part of the Sher Institute 'Giving Back' Program. PARAMUS, N.J. -- Topcon Medical Systems announced today that the mobile version of its successful EyeRoute(R) Image Management Suite is now available as a dedicated iPhone application from the Apple(R) iTunes store in North America. First presented in October 2009 at the American Academy of Ophthalmology Meeting in San Francisco, EyeRoute Mobile sets the stage for connectivity on the go. LONDON, U.K. -- The pharmaceutical industry is facing unprecedented challenges on many fronts - a slew of patient expiries, a lack of blockbusters in the pipeline to replace the patent expiries, decreasing growth in many major markets, generic competition, constantly changing regulatory and competitive environment rendering old tools for analysis obsolete, increased pressure on CEOs to deliver shareholder growth resulting in budget cuts, downsizing, and less than optimal results. SACRAMENTO, Calif. -- 7.3 million women experience infertility each year in the U.S. alone. In fact, 1 in 5 women have difficulty conceiving as more women than ever are having their first or subsequent child after the age of 35, a contributing factor of infertility. Enter Dr. Robert Greene's forthcoming book, "PERFECT HORMONE BALANCE FOR FERTILITY: The Ultimate Guide to Getting Pregnant" (ISBN: 978-0-307-33740-5). SAN MARINO, Calif. -- Epeius Biotechnologies Corporation announced today that Interim Analysis of an on-going Phase I/II study of Rexin-G for pancreatic cancer confirmed Rexin-G's anti-tumor activity with no major toxicity in patients with metastatic chemotherapy-resistant pancreatic cancer. The clinical trial design includes 5 escalating doses of intravenous Rexin-G ranging from 1 x 10e11 cfu twice a week to 4 x 10e11 cfu three times a week for 4 weeks. Treatment cycles are repeated if the patient exhibits Grade 1 or less toxicity. 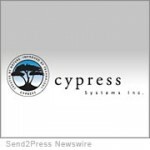 FRESNO, Calif. -- Chairman and CEO, Paul Willis stated, "Just like his previous career at a large agribusiness company, Dr. Mark E. Whitacre has risen fast at Cypress Systems, Inc, last month being named the company's chief operating officer and president of operations." Now Cypress and Whitacre are focusing their energy on an aggressive cancer prevention campaign in order to get Americans-and people around the world-to consume a special type of selenium. SAN MARINO, Calif. -- Epeius Biotechnologies Corporation announced today the issue of U.S. Patent No. 7,347,998 for Targeted Gene Delivery in vivo. This patent provides additional intellectual property protection for the platform of highly advanced biotechnologies embodied in the company's leading anti-cancer agent, Rexin-G.
SAN MARINO, Calif. -- Epeius Biotechnologies Corporation announced today their appreciation of the accomplishments of their contemporaries in 2007, a truly remarkable year in terms of biomedical research, scholarship, and gonzo journalism. It was a year in which a definitive meeting entitled "In Vivo Barriers to Gene Delivery" was held at the prestigious Cold Spring Harbor Laboratory, where Nobel laureate James Watson presides, or shall we say presided. SAN MARINO, Calif. -- Epeius Biotechnologies Corporation announced today that the company has taken a major step toward the commercialization of its lead product with the opening of a Phase II Registration Protocol using Rexin-G for osteosarcoma in the United States. Following the accelerated approval of Rexin-G for the treatment of all solid tumors by the Bureau of Food and Drugs in the Philippines, Epeius opened a number of Phase I/II clinical trials. SAN DIEGO, Calif. -- Always Best Care Senior Services has expanded into the San Diego area. America's premier In-Home Care, Assisted Living Placement Service, and Personal Response Company, is proud to announce seniors in San Diego can now rely on Always Best Care Senior Services for outstanding care.